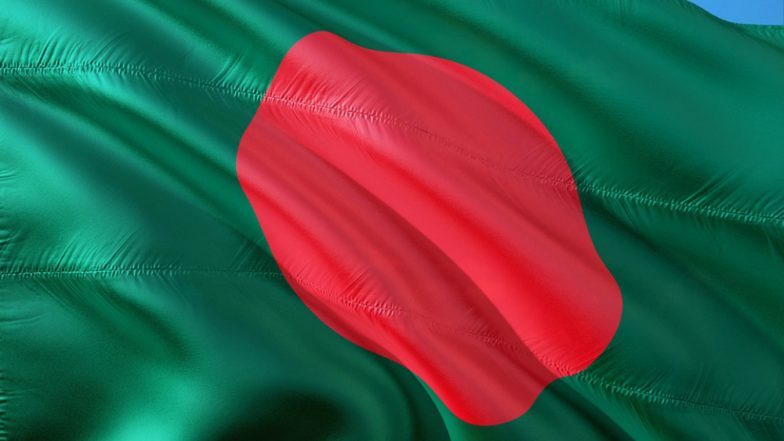 Dhaka, March 26: Bangladesh on Tuesday celebrated the 49th Independence Day amid tight security. The day was celebrated with parades and paying of respects at Jatiyo Smriti Soudho, national memorial at Savar, on the outskirts of Dhaka, the Xinhua news agency reported. At Tuesday's dawn, on behalf of the nation, President Abdul Hamid and Prime Minister Sheikh Hasina paid tributes to martyrs of the Liberation War at the memorial. The celebrations began with a 31-gun salute by a smartly turned-out contingent drawn from the Bangladesh Army, Navy and Air Force, while the bugles played the last post. Wearing the red and green colours of the Bangladeshi flag, people thronged the memorial to pay respect to war heroes. On March 26, Bangladesh commemorates the declaration of independence on late hours of March 25, 1971. Bangladesh Must Punish 'Lovers of Pakistan', Says PM Sheikh Hasina. Tight security arrangements were made for the 49th Independence Day. Additional law enforcement personnel were deployed to strengthen surveillance, especially in Dhaka's diplomatic Gulshan, Banani and Baridhara areas, since Sunday afternoon after threats of militant attacks were reported. Security personnel were seen frisking people and setting up check posts in Dhaka's key diplomatic zones.